WHAM-O WATUSI Wails the Blues! Once again, the WHAM-O WATUSI, regularly scheduled for the first Saturday of the month, did not actually take place until deep into April… the 22nd. As noted in a previous Boogaloo Bag entry, this was done in order to accommodate host Phast Phreddie the Boogaloo Omnibus so he could play a few soul records at Soul Night; a spectacular event that you can read about HERE! Well, it may have taken place on the 22nd, but according to our notes, this was the 21st WHAM-O WATUSI held at the Bootleg Bar! For this occasion, a special guest DJ was required, and one was obtained: Brian Hurd of the boss new teen combo Daddy Long Legs. Mr. Hurd is a blues-wailin’ cat from St. Louis who knows about good records. Heck, not only does he buy boss records, spin them at cool DJ nights, but he makes them!! Daddy Long Legs is a very blues-influenced group that has been shaking a lot of action of late. With two studio LPs, a live album and another where they back the great bluesman T. Valentine, this is a band on the go. Currently, Daddy Long Legs is taking some time off from the road in order to work on a new album and play select live gigs. We here at the Boogaloo Bag can not recommend this fine musical unit enough and suggest that all Bag readers purchase their waxings immediately at the Norton Records website. I mean, now! That’s ok. We’ll wait. The Boogaloo Bag writers are very happy to note that the entire Daddy Long Legs musical organization came to the Bootleg Bar that night to dig the WHAM-O scene. Brian Hurd, Josh Styles and Murat Aktürk of Daddy Long Legs swing with Phast Phreddie the Boogaloo Omnibus at WHAM-O WATUSI!! Since the blues is featured so much in the Daddy Long Legs repertoire, it may come as no surprise that this WHAM-O WATUSI night featured so many blues records, or recordings of blues songs. What may come as a total surprise was the playing of three songs by the legendary Dion to expressed the Boogaloo Bag’s excitement regarding the release of a new Dion LP on the fabulous Norton label (do they get all the good acts?). The new album is a collection of Dion recordings from the early/mid-sixties that were slated for an album that was never released. The singles that were played are all from the era, including one on Norton of a cover of Chuck Berry’s “Too Much Monkey Business” that has never been released before. The new Dion LP of old stuff should be out soon. All the Boogaloo Bag writers are looking forward to it. None of these records are for sale. Some of the tracks listed have links to sound recordings on the youtubes. Click on them to dig them. A little Boogaloo with your Rip! Rig! Panic! Rip! Rig! Panic! is the brainchild of host Nogood Nick. 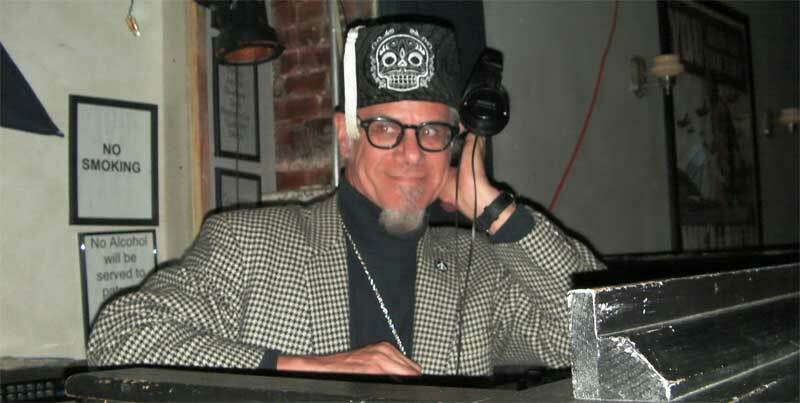 Longtime Boogaloo Bag readers will remember that he was a popular guest DJ at the late lamented DYNAGROOVE nights and is also one of the favorite DJs of the Boogaloo Bag writers. Rip! Rig! Panic! features all sorts of music, especially mod jazz, funk, soul, pop and exotica rhythms. It is a groovy night whenever and wherever it takes place—and it has happened at several venues. Phast Phreddie the Boogaloo Omnibus swings at Rip! Rig! Panic! On Friday April 14, it took place during happy hour at Otto’s Shrunken Head with guest DJ Phast Phreddie the Boogaloo Omnibus. It was a great night with plenty of cool records played; frothy, fruity drinks were imbibed; and good friends were in attendance. Who could ask for more. After their regularly scheduled sets, the two DJs worked the final hour playing every-other record, before two people with laptops came to entertain the Friday night crowd with their keyboard and track-pad skills! Nogood Nick and Phast Phreddie the Boogaloo Omnibus rotate records at Rip! Rig! Panic! None of these records are for sale. Some of the tracks listed above have links to the youtubes. Click on them and re-create Rip! Rig! Panic! in the privacy of your own mind! Mr. Fine Wine, Liam Large and Thorsten Wegner observe the excellent turntable technique of DJ Fancy Cat at Soul Night. Soul Night is just that: a night of soul music. But that’s not all. Anyone can play soul records and call it “Soul Night.” This is Soul Night with Mr. Fine Wine, One Mint Julep and Fancy Cat! Three great soul music DJs. It takes place on the first Saturday of the month at a joint in Crown Heights, Brooklyn called Friends and Lovers. The place has a large back room with a stage where the DJ booth is, and plenty of room for dancers—and there are always a LOT of them. On Saturday April 1, the room was packed with gyrating bodies from about 10:30pm to about 3:30am—everybody doing the watusi to the fabulous records played by the DJs—which, on this particular evening, included guest DJ Phast Phreddie the Boogaloo Omnibus and a couple of special guest DJs from Europe: Liam Large of London and Thorsten Wegner of Hamburg. Liam Large swings with another hot soul jam at Soul Night! Unfortunately, on this evening One Mint Julep could not make the scene; her presence, her smiling face and her cool records were sorely missed. The three guest DJs did all they could to try and make up for it. Thorsten Wegner spins a rare soul record at Soul Night! Both Liam Large and Thorsten Wegner come to the United States from time to time to search for records. Liam had been here for several weeks and both he and Thorsten attended the Allentown Singles Only (45s & 78s) record show earlier that day. If the records they played were any indication of the records that they had recently purchased during their time in the states, one can only conclude that their time here was very well spent. Both DJs played amazing records that had the place dancing and prancing. Mr. Fine Wine takes a second to look out at all the dancers at Soul Night! Mr. Fine Wine has been written about often in the Boogaloo Bag. Do we need to discuss him further? 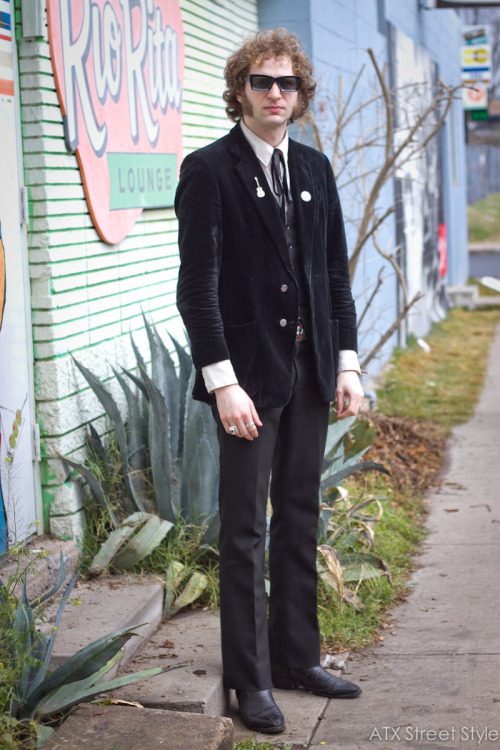 Well, we might remind the reader that he has a Friday night show on radio station WFMU and that every Wednesday night he swings at the Botanica Bar in Manhattan and it is an excellent hang; and of course he has the best soul records in the world. Dig some Boogaloo Bag entries that feature him here, here and here. Fancy Cat picks another excellent record to play at Soul Night! The Boogaloo Bag writers met Fancy Cat for the first time on this evening. He, too, played some great records, with a strong lean toward women singers and girl group sounds. It was a gas diggin’ and dancin’ to his spins. Phast Phreddie the Boogaloo Omnibus swings at Soul Night! Phast Phreddie the Boogaloo Omnibus is no stranger to soul records—as can be attested by the many feet that go tappin’ at Subway Soul Club events—so he fit right into the mix. Man, he loves playing those records and he spun a bunch of old favorites as well as a few recent acquisitions, including a couple that he purchased earlier that day when he, too, attended the aforementioned Allentown record show. Even though he had been up since about 4 o’clock that morning, the night seemed to end much too soon. Soul Night DJs: Thorsten Wegner, Liam Large, Mr. Fine Wine, Phast Phreddie the Boogaloo Omnibus. Where’s Fancy Cat??? If you, dear Boogaloo Bag reader, are paying attention, you will know that the first Saturday of the month is usually the night that the WHAM-O WATUSI takes place at the Bootleg Bar. On April 1, The WHAM switched nights with Border Beat, a night hosted by our friend Reyes Rodriguez; he and Avi Spivak held forth at the Bootleg Bar. The WHAM will return to the Boot on April 22nd with guest DJ Brian Hurd of Daddy Long Legs. The WHAM is scheduled to take place on the first Saturday of the month for at least the next two months.